Lord Clement-Jones is a Partner of DLA Piper, the global law firm, he was London Managing Partner from 2011 to 2016 and has held former positions as Chairman of its China and Middle East Desks, International Business Relations Partner and Co-Chairman of Global Government Relations, its government affairs and media relations practice. A communications professional and a solicitor, Tim was Group Company Secretary and Legal Adviser of Kingfisher Plc from 1986 until 1995, where he coordinated Kingfisher’s contribution to the Shopping Hours Reform Campaign which led to the Sunday Trading Act 1993. 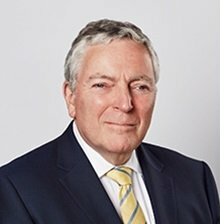 Before Kingfisher, Tim held senior legal positions at Grand Metropolitan, now Diageo plc (Legal Director, Grand Metropolitan Retailing 1984-1986) and London Weekend Television (Head of Legal Services 1980-1983) now part of ITV plc. Tim is a former (1997-2005) Non-Executive Chairman of the Context Group, the environmental strategy and communications consultancy and Director of Political Context, the political communications consultancy (1996-1999). Tim was Chairman of the Association of Liberal Lawyers 1982 to 1986 and then of the Liberal Party from 1986 to 1988 and played a major part in the merger with the Social Democratic Party to form the Liberal Democrats. He was made CBE for political services in 1988. He was the Chairman of the Liberal Democrats Finance Committee from 1989 to 1998 and Treasurer of the Liberal Democrats from 2005 to 2010. Tim was made a life peer in 1998 and until July 2004 was the Liberal Democrat Health Spokesman and thereafter until 2010 Liberal Democrat Spokesman on Culture, Media and Sport, in the House of Lords. He is now Liberal Democrat spokesman on the Creative Industries. He is a former member of the House of Lords Select Committees on Communications (2011-2105) and the Built Environment (2015-2016). He is Co-Chairman of the All-Party Parliamentary Group on Artificial Intelligence. He is Deputy Chairman of the All-Party Parliamentary Group on China and Vice Chairman of the All-Party Parliamentary Groups on Turkey, the UAE, Iraqi-Kurdistan, Ovarian Cancer, Publishing and Intellectual Property. Since 2012, he has been the Chairman of Lib Dems in Communications. He is President of Ambitious About Autism (formerly Treehouse) an autism education charity and school for children with autism and other communication disorders and its former Chairman (2001-2008). Tim was, until its merger with University College London (2008-2012), Chairman of the Council of the School of Pharmacy, University of London. He is currently a lay member of the Council of University College London and Chair of its Audit Committee. He is a member of the Advisory Board of the College of Medicine and an Honorary Fellow of the School of Pharmacy, University College London. Tim is a Council Member of Heart of the City; Fellow of the Public Relations Consultants Association and the Chartered Institute of Public Relations; Governor of Haileybury and Ambassador for Barts Charity. He is a former Trustee of the Barbican Centre Trust (2012-2016).